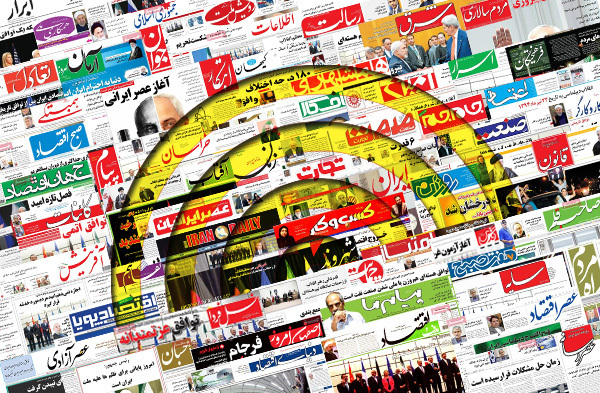 IFP has taken a look at the front pages of Iranian newspapers on Wednesday and picked headlines from 21 of them. IFP has simply translated the headlines and does not vouch for their accuracy. Newspapers on Wednesday covered the meeting between the Leader of the Islamic Revolution Ayatollah Seyyed Ali Khamenei and the commanders of Iran’s Police, where the Leader underlined the need for expansion of the Law Enforcement’s capabilities. The German Economy Minister Sigmar Gabriel’s visit to Iran also remained a top story as his requests for meetings with Iranian Foreign Minister Mohammad Javad Zarif and Parliament Speaker Ali Larijani were reportedly rejected due to his call for Iran’s recognition of Israel. The recent diplomatic row between Washington and Moscow also received good coverage in today’s newspaper front pages. 1- Government Spokesman Denies Gabriel’s Anti-Iran Remarks: Mr. Nobakht, Who Is Giving False Information to the Government? 1- CBI Governor: US Is Stonewalling; They Can Take Back Their Planes!